If, as many allege, attacking the gap between rich and poor is a form of class warfare, then the struggle against income inequality is the longest running war in American history. To defenders of the status quo, who argue that the accumulation of wealth free of government intervention is an essential feature of the American way, this book offers a forceful answer. While many of those who oppose addressing economic inequality through public policy today do so in the name of freedom, Clement Fatovic demonstrates that concerns about freedom informed the Founding Fathers’ arguments for public policy that tackled economic disparities. Where contemporary arguments against such government efforts conceptualize freedom in economic terms, however, those supporting public policies conducive to greater economic equality invoked a more participatory, republican, conception of freedom. As many of the Founders understood it, economic independence, which requires a wide if imperfect distribution of property, is a precondition of the political independence they so profoundly valued. Fatovic reveals a deep concern among the Founders—including Thomas Jefferson, Thomas Paine, and Noah Webster—about the impact of economic inequality on political freedom. 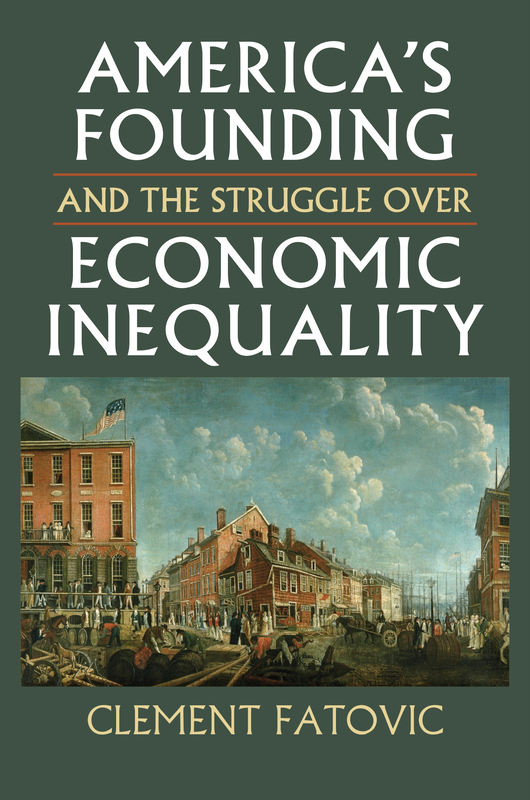 America's Founding and the Struggle over Economic Inequality traces this concern through many important political debates in Congress and the broader polity that shaped the early Republic—debates over tax policies, public works, public welfare, and the debt from the Revolution. We see how Alexander Hamilton, so often characterized as a cold-hearted apologist for plutocrats, actually favored a more progressive system of taxation, along with various policies aimed at easing the economic hardship of specific groups. In Thomas Paine, frequently portrayed as an advocate of laissez-faire government, we find a champion of a comprehensive welfare state that would provide old-age pensions, public housing, and a host of other benefits as a matter of “right, not charity.” Contrary to the picture drawn by so many of today's pundits and politicians, this book shows us how, for the first American statesmen, preventing or minimizing economic disparities was essential to the preservation of the new nation’s freedom and practice of self-government. Clement Fatovic is associate professor in the Department of Politics and International Relations at Florida International University.